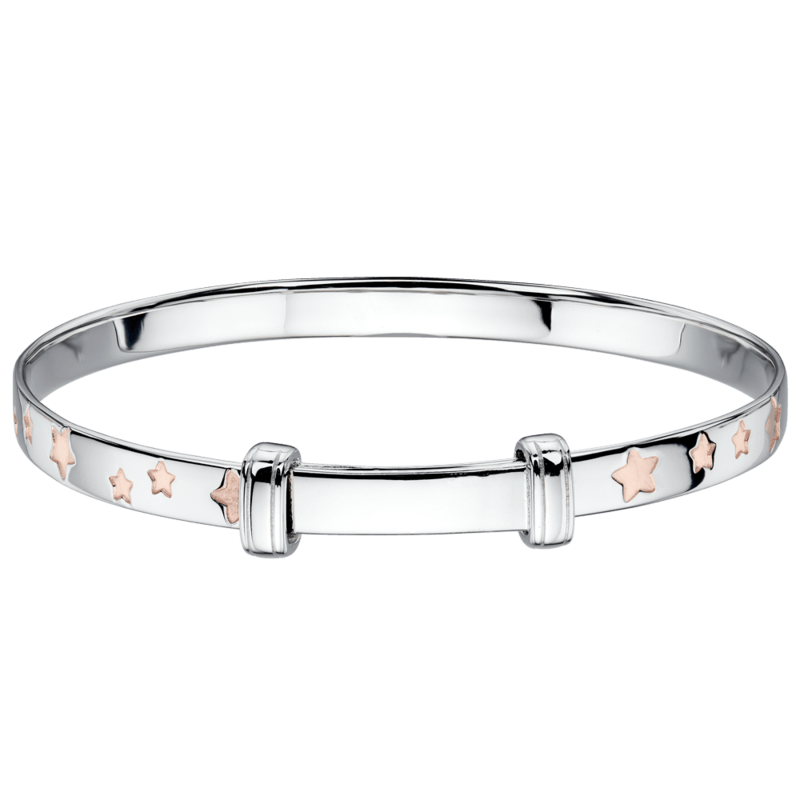 A modern approach to a classic christening bangle. Our Rose Gold Star Christening Bangle mixes a standard Sterling Silver Bangle with contemporary inlaid Rose Gold Stars. 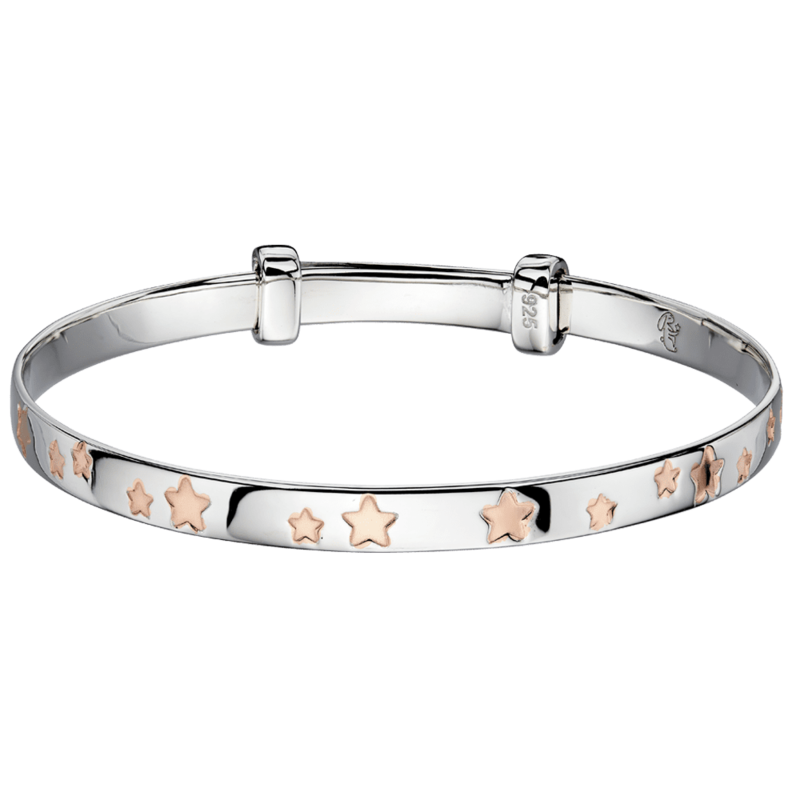 Can be engraved on the inside to add that extra personal touch and is therefore it’s a perfect keepsake for memorable day such as a christening or birthday. 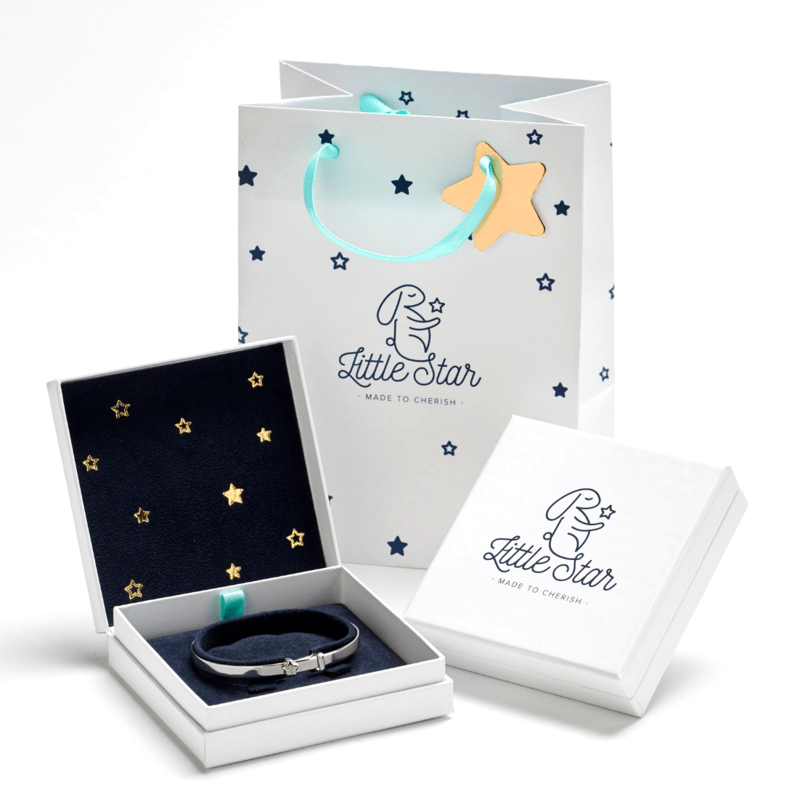 Comes in our beautiful signature Little Star Jewellery gift packaging and UK Shipping is Free.